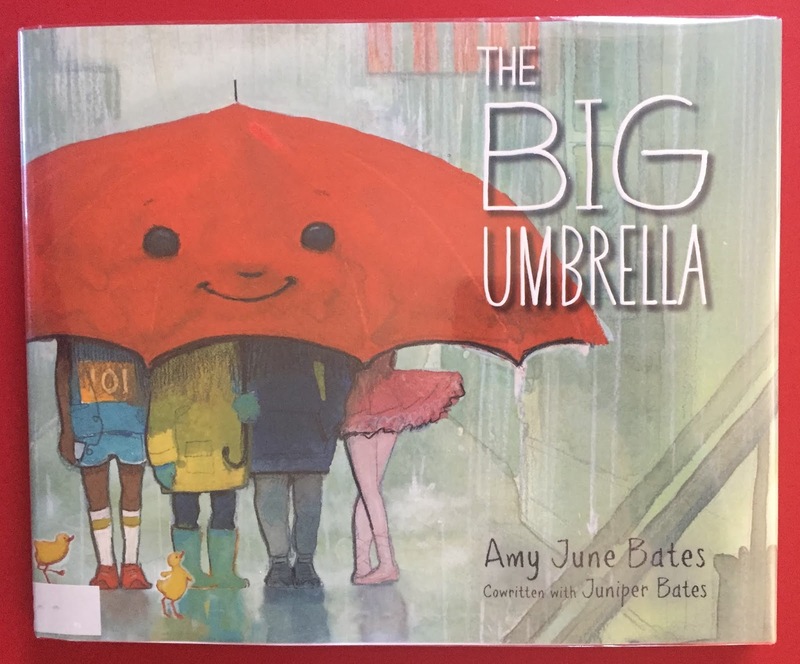 Picture Book Theology: How Big is Your Umbrella? Below I feature my favorite picture book find so far this year! It is so simple and yet so profound and beautiful. It will definitely be reposted in the PBT Grab & Go category eventually. 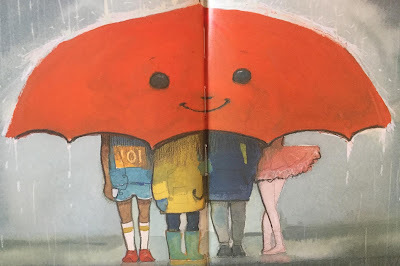 Summary: A friendly umbrella is the protagonist of this fabulous picture book. It waits by the door. See its upside down face? and taken into the world. 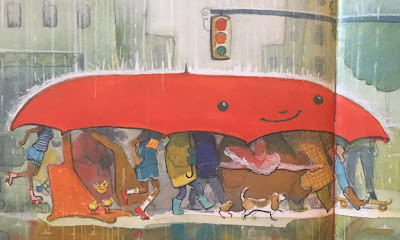 and loves to give shelter. It doesn't matter who... or what you are! Really tall? Lots of legs? No matter, all are welcome! Hanna’s Comments: If only all our umbrellas (and our invitations) had such smiles and capacities to grow! 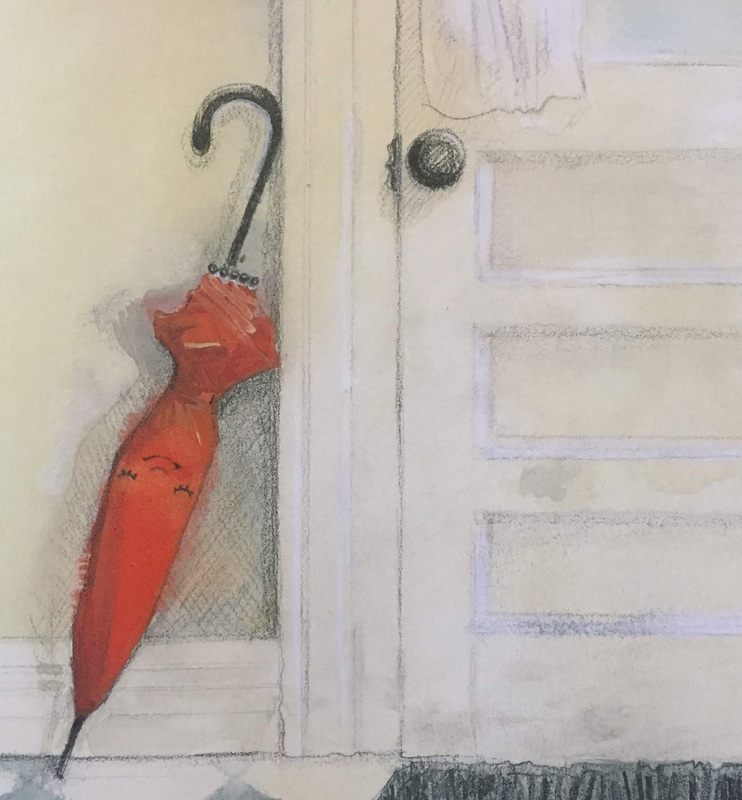 Obvious connections abound to the sacred practice of hospitality and issues of inclusion (so important in today's news headlines!). 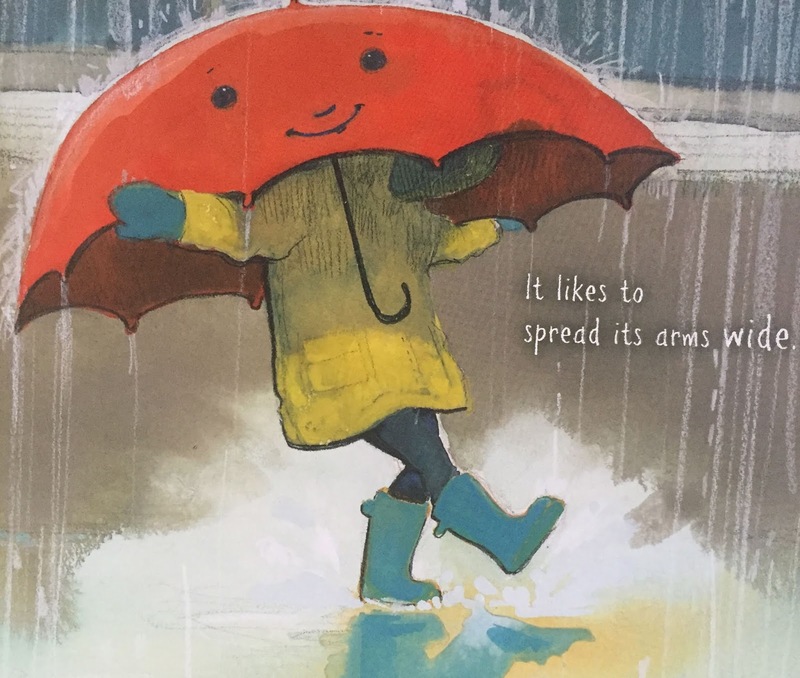 Under-girding this simple story and these beautiful images are God-ordained, scriptural themes of kindness, empathy, and a willingness to be squeezed into the joy of companionship. 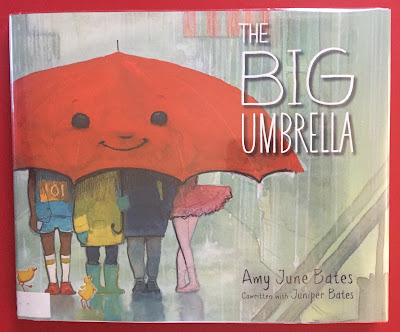 There are other PBT books Amy June Bates has illustrated, but this book is particularly special to her because she wrote it with her daughter, Juniper, who was only eleven at the time. The idea came as they were sharing an umbrella. 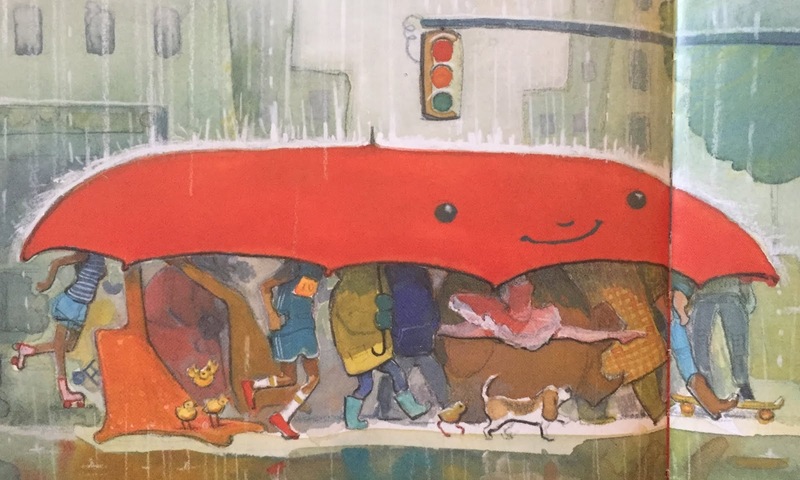 Check out her illustrations in a book about vocation and giftedness called You Can Do It! here. She has 3 books about popular psalms. You'll find Let’s Make a Joyful Noise and I Will Rejoice featured here. Give Thanks to the Lord is a great book to read near an autumn holiday. Find it here. 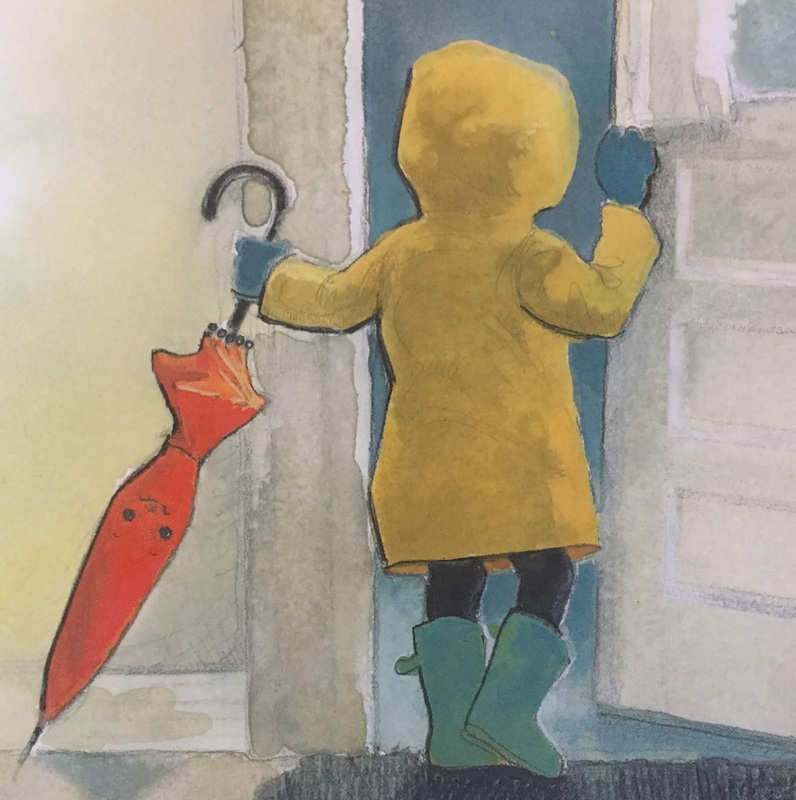 Idea(s) for Application: The sacred practice of hospitality and issues of inclusion are lesson topics important for all ages. Don't let the simplicity of this story keep you from reading it to audiences beyond their early elementary years. Consider questions of who is really welcome at your church and how you show hospitality in light of the difficulty some folks have walking into church communities.